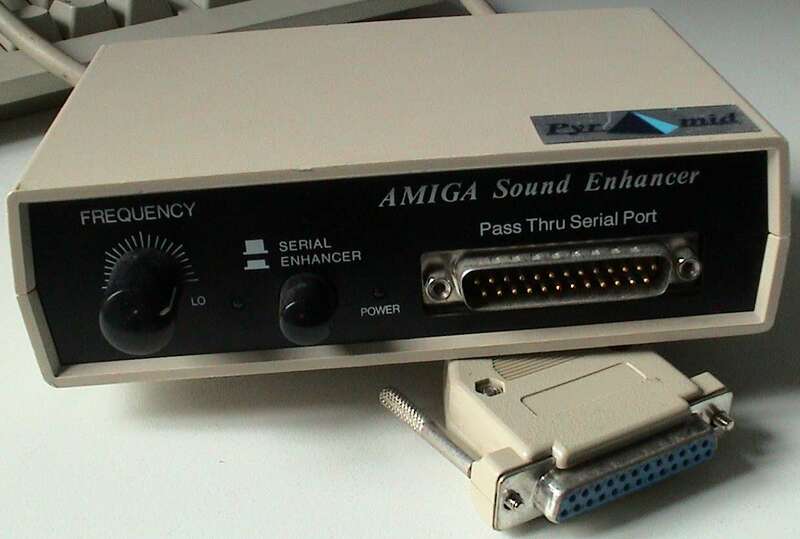 The Sound Enhancer is not strictly a sound card, but it is designed to drastically improve audio quality. It probably works in a very similar manner to the Sound Enhancer made by Omega. It works on the theory that the human ear has an uneven sensitivity to sound in the ranges of 20Hz to 20Khz. The Sound Enhancer capitalises on this by boosting the frequencies the ear is more sensitive to in relation to the other frequencies, producing a better quality sound output.